From The Age of Money to The Age of Glory! Dear friends, you have probably noticed that recently we have grouped the messages here in a new way. Instead of focusing on one topic per channel, we have been sending the same message – with a similar theme, content and impact – through many messengers. We are able to do this because of your increasing capacity to receive truth and to work in harmony, and it allows us all to accomplish more with greater ease. We enjoy including you in our plans and showing you how we coordinate our efforts according to your needs, your requests and our own designs. “We wish to talk about money, a topic that seems to cause much chaos and many problems for the world. The human belief system regarding money is built around duality–the consciousness of money as a “good” that must be attained or an “evil” to be rejected. Both are false being based in a general ignorance of truth often along with the desire of many for power. Money is a medium of exchange in and of itself having no power other than the power you give it. We are moving together, dear friends, and our journey takes us to unexplored territory every day. Our beloved Michael has spoken with you about our CO-RV, and of your personal clearing and dedication to the Light which helps bring through the energy of Ascension, and therefore the RV along with all the other wonderful programs that bring Freedom for Earth and all upon her. Your response to his messages this week has already helped to reduce the back-wash of negativity that flooded our Lightworkers who are standing on the front lines transmuting the intense toxic energies produced by feelings of frustration, disappointment and resentment. This is their Lightworker Mission, along with helping Terra to transmute the already extreme overload of environmental poisons. Jumping in with your bright and enthusiastic joy and resolve to “have our backs” while we move together to Co-Create the RV has measurably slowed the deluge of toxic sludge while quickening the pace of what we may accomplish. Our Christine reports that – although she and her team (which besides thousands of devoted Lightworkers, also includes many animals including Che’ and BamBam, by the way) are exhausted and extremely physically ill – the effect of your participation is substantial and palpable. Due to our mighty co-efforts, the frontline transmuters are now “only knee deep” in the waning torrent of human energetic effluents. I bring you this information so that you can see how literal and essential this work really is. Every negative feeling, every moment of anger, disappointment or emotional lash-back creates a blockage in our momentum and creates a toxic load that then has to be absorbed, processed and released by those generous souls who act as transmuters. It may surprise you that I mentioned Che’ and BamBam as members of the transmuting team. You already know, do you not, that the whales and dolphins are also sacrificing the health and strength of their bodies to clean the oceans and air to help protect their beloved human brothers and sisters? Well, your dogs and cats, birds and fishes, like you, also have important assignments to help aid you in your Earth Ascension. Right now, Kathryn is noticing the pungent, even putrid smell of Che’s breath – it has been extreme for the past three days. He is working so hard to help out! 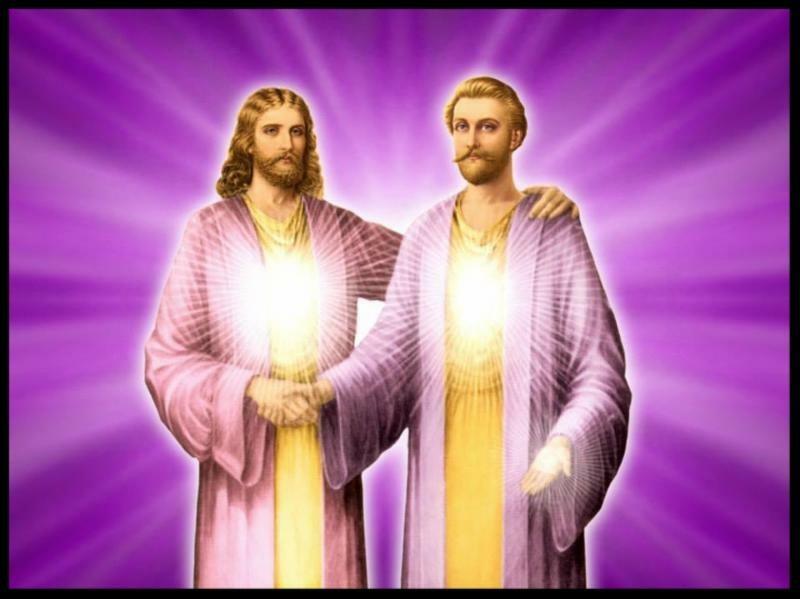 Meanwhile, our long-time dedicated intel providers, who have been trying to help bring about this shift of the ages by educating people about the RV and how to share the blessings it will bring, are under vicious attack. They are being vilified for spreading “misinformation” and “hopium” because the events they predicted are not “on time.” Would the slow rollout of any spiritual event which was designed to alleviate suffering and bring peace to the entire world be responded to with such hostility and aggression if it did not involve large amounts of money? I have talked with you about Operation Heave-Ho, which you are using to bring about a tremendous response and an uplifting of Earth energies. These individual and collective Surface Earth energies can be seen, understood and evaluated by all of us monitoring the Ascension/RV process. (LINK to Heave-ho New Earth Times Edition #57) Your increased mindfulness is bringing about real results in your own lives and creating a model for others while helping to lift the entire planet. I want to now begin a new discussion with you, to help root out one of the most illusive but utterly pervasive mind-states that will need to be cleared as we move toward a world without money. St. Germain will join us bringing his wisdom as well. Now, let’s walk together into the labyrinth of physical, emotional, mental and spiritual traps that were created by those who designed the world of money you live in. We will examine the state of Earth’s consciousness, and the pitfalls we must identify and remove in order to Ascend together. I have placed in quotes many of the catch-phrases and words that symbolize and invoke the fear, stress and anxiety most of you have lived with on a constant basis. Be alert for the tugs you feel within yourself as you read this human story; this will signal to you that there is something here for you to identify and Heave-Ho! We remain in our blazing Pillar of Light / Ascension Pillar, holding fast to Terra and to Mother and Father God. We will observe from outside the Matrix, to identify the challenging ideas we are in the process of clearing. Join with me now to perceive the countless ways money has come to define your world, your emotional responses, your self-worth and your attitudes. Let us begin with the word credit, for instance. It has numerous meanings having to do with survival, comfort and self-worth. For example: being given credit for an accomplishment, recognition for an invention or an idea or a job well done, a college course completed, a unique creation like a book, a painting, or work on a film. Being given credit, (Latin root creditas) or credibility (Latin root credibilitas), offers the individual a source of pride, public prestige, the ability to borrow money, and concretely, money assigned to your account – in accounting terms, the opposite of a debit. In the competitive world where pay is based on getting credit for work, your survival and your family’s level of well-being depends on it. This has led to myriad instruments to protect ownership of one’s accomplishments, like copyrights, patents, service marks, and trademarks, and legions of lawyers to implement and defend them. Without protecting and defending your achievements, you risk losing your livelihood and your credibility. In a “dog-eat-dog” world – one where everyone competes for limited resources (represented by money), jealously guarding your accomplishments is considered reasonable self-defense. This has even led to the absurd popular belief that “greed is good” because, supposedly, it protects you and your loved ones. Now, Beloveds, remember, we are observing, not condemning anyone. All were swept up in the fear and competition of the Age of Money. When someone “steals” your idea or takes credit for your work, you feel robbed, literally, because your credibility and your “body of work” is threatened. Very possibly, your physical body and the bodies of your “dependents” would be endangered as well, in the form of homelessness and poverty. These dire consequences and dark conditioning laid the groundwork for every human being to feel insecure, at risk, and anxious about experiencing lack – the lack of physical resources to provide physical sustenance. This state of affairs created a kind of deep hunger that may have originally been felt as fear of starvation, but has expanded to every area of life. This is not the only lingering fear of lack that became ingrained in the human psyche. Now, take a deep breath, and picture us hand in hand as we continue to clean house together, examining every dark corner, polishing the windows and sweeping the cobwebs with loving attention. Always, we whistle and sing while we work because we are creating a new kind of Home – one that is sparkling and joyful in the abundance of glittering Golden Light from Mother and Father. As we polish our Earth home for the coming of our honored guest, HaRVey, we also polish ourselves within, until we shine, shine, shine with the Light of a thousand stars. We were born for this, Beloved Ones! Onward! You have learned the Universal Law that every thought, feeling and action has an energetic impact on others and the state of your world. The pervasive cabal-ese I have listed above has filtered into your societies’ thinking in a subliminal way, at the same time it has been blatantly promoted in the media. You are encouraged to agree that poverty = laziness, and financial failure = carelessness or “delinquency” (another word for late paying your bills). You see, these false ideas and manipulations have been honored as undeniable “Truth”! “Fact”! You, and all our beloved humankind, have been subjected to this brain-washing since birth (and during every incarnation since the fall of Atlantis!). How could you have been immune to its corrosive effects? You could not. Now are you feeling more kindly toward your poor beleaguered self? Let me help you to remove these false ideas and the feelings they generate from your mind/heart/body/self. We are moving to complete Freedom! None of these false fear tactics deserve a place in your dear mind and feelings. Join with me to celebrate a giant Heave-Ho! to these false and poisonous ideas that have enslaved humankind. It is your final and truest payday! Time to celebrate your freedom from Money-Mind-Control! You are seeing the pattern now, aren’t you? The dreadfully pervasive brain-washing techniques and Matrix programming of all kinds – media, education, social pressure, work and religion – all conspired to make you feel ashamed, inadequate, sad, depressed and desperate. These feelings became the Great Malady of humankind, but instead of being guided to search inward for peace of mind, under the cabal agenda you are encouraged to try to endlessly change yourself. The malady is of course the longing for Love, the love we feel we have lost when we let go of Mother and Father’s hand to turn towards fulfillment through outward experience. Yet, instead of finding the real gratification that is endlessly ours in the Light of God’s Love, we become addiction-driven seekers trying to get the “abundance” we crave in the things money can provide. In the period of just a few years, a large percentage of the population across the “developed” world was convinced that the cure could lie in special “medication” to ease your unacceptable and seemingly “abnormal” and troublesome feelings. Whether obtained by legal or illegal means, drugs became the go-to source for inner peace. Think of it! Everyone being encouraged to look for a physically-administered substance to replace God! The systematic condemnation of anyone not fitting the Matrix mold has led to terrible “medical” procedures and treatments which assaulted the hearts and minds, sickened and shattered the bodies of those who were sensitive enough to feel the deadly downward spiral and tried to fight against it. The ones who have born the heaviest brunt are the children. Bright and innocent souls who came directly from the warmth and sweet love of Mother and Father’s embrace could not help but feel loneliness. They were traumatized when they experienced the wariness and even fear of families and teachers who could not answer their heartfelt questions or respond with kindness to their deep pain at seeing unfairness and punishing judgmental disapproval all around them. These children and the parents who had suffered the same oppressive fate became adults who sometimes turned to suppressing others, stamping out love and compassion in favor of “respectability.” These were parents who truly believed they were responsibly preparing their children for a successful life. Is it any wonder that loving relationships suffered unbearably under the strain of having to conform to society’s expectations? Money in and of itself has no inherent emotional charge, but in a culture where money is used to control and suppress the entire population, all feelings are purposely directed toward desperation, despair and “stress.” Once you accept the mantra that “making a living” requires all the resources your poor soul, body and mind can muster, “and then you die,” how is it possible to achieve happiness and peace of mind? Before we proceed, I would like to reiterate a truth that Sheldan Nidle spoke in his webinar last night. He explained that lack is merely a thought. It is not substantial, real or lasting. Lack is simply thought and therefore is of the illusion. Keep this in mind as we continue. Let us follow this search further, into the hearts of the souls who yearn for peace within, to uncover how the Matrix misused this yearning to further enslave our beloved humankind. Remember as we bear witness together from a loving higher dimensional perspective, we are participant-observers, recording and documenting what we see. The worldwide promotion of “religion,” which was really designed to replace our natural connection with Mother and Father God and our loving ancestors and guides, has also replaced our peace of mind with fear. Did this have anything to do with money? Absolutely! While tithing was a brilliant money-maker for the Catholic Church, the richest and most powerful corporation on the planet, it also worked subliminally to convince people they needed to “earn” God’s love. Tremendous pressure was thus put upon good-hearted people whose natural inclination in the first place was to give generously to others. In this picture, God became the strict and punishing “task-master” (slave driver!) who expects obedience, subservience, payment and submission to his Will, and abject worship of “His” superiority and power. How would one supposedly gain “credit” and “credibility” with God? Why, of course, by following the rules laid out by the clandestine group of men who found an inventive way to control the collective while becoming rich in the process. Thus, one must find “salvation” by supporting “His” church, temple, synagogue, etc. etc. Of course, this is ridiculous, since God has no use for money or temples, and sees the devious substructures of the churches, priests, mullahs, rabbis and all their pomp and trappings as just a temporary distraction from what Mother and Father really desire for us, which is a sense of joyful direct communion with Them and with each other. Good teachers simply remind students of what they already know in their hearts: We are loved. God is Love. No elaborate robes or gold necklaces needed. There are people who say “Money is King.” Some who label themselves as Christian religious leaders have wholeheartedly subscribed to the idea that if you are poor, it is because God has not blessed you, you are not “deserving” or worse yet, that God is punishing you for some unseen crime or failing on your part (the distorted controlling version of karma!). Let us together decide now to give this propaganda play and all the pride-swelling and ego-massaging hyperbole that supports it the big Heave-Ho! Money is not Love. God is not a cruel Santa Claus, rewarding those who are good with presents and those who are “bad” with coal in their stockings. Mother and Father love us all equally, as their precious children. God is Love. Money can’t buy you love, or anything else your spirit requires, but it can provide a temporary, neutral medium of exchange until we have reorganized Earth’s social systems enough to provide for all beings to live freely and comfortably, with the dignity that every Child of God deserves. With the blessing of the RV/GCR, you are being given the opportunity to break all the sadistic rules, pull down all the barriers, and build a new society in which all have the means for thriving comfortably with the abundance Mother Earth gladly provides for every child of God. No credit score needed. We are the ones who will make it so, Beloved Brothers and Sisters. We will Co-Create the world we have longed for, and more. As we move higher in consciousness, our vision of what is possible will expand. Look! Look through the eyes of your growing love and your expanding heart. It is all here before us, just waiting to be experienced. We are not just headed for Glory, we are Glory! Every day, when I thought I could not possibly love you more, I love you more. We are One, and we are together. This is abundance. I am filled with gratitude toward you, and toward Mother and Father God, for giving us this extraordinary opportunity to rise together in Love, Light and glorious Abundance. I stand with you forever, my Beloved Brothers and Sisters. Hallelujah! Hallelujah! It is Done! CO RV! What a thrill it is for us to see all of you joining together like a great flock of birds in flight, waltzing to the RV tune. You are truly Over the Rainbow in our eyes! I came today to “throw my weight” behind our beloved Brother Sananda, who has been my constant source of comfort, affirmation and joy throughout these ages of hard work and sometimes painful disappointments, as we all incarnated, overlighted and joined with one another in every way possible to lay the groundwork for The New Golden Age of our beloved Planet Earth. As you may know, this work goes back to Lemurian times, to the time when the Atlanteans chose to align with the Anunnaki in a scheme to gain power over all Earth’s riches and her people. You hear the echoes of those dark conceptions in the descriptions Sananda has given you of the mind-control programs of the Matrix. The Matrix we speak of was built and fortified bit by bit, as human collaborators learned the techniques and technologies of the ones we call the dark hats. As torture and its partner, lack, were deliberately applied to the minds and bodies of humankind, a shared picture grew in the minds of all – the illusion of life lived in fear and anxiety, in slavery to delusions and lies that most humans only dimly perceived. The goal was nearly achieved in the last few decades. The cabal, inheritors of Anunnaki ruthlessness and contempt for humankind (their own kind) practiced common sleight-of-hand tactics and applied torture of every abominable kind in the effort to turn Earth into a prison planet. Their intention was to feed off the energy of fear that flooded the planet – that very fear that you now are charged with uncovering and clearing out. We have reversed the downward spiral into depravity and darkness (the opposite of Creation), and we will not turn back! More and more of you are awakening, rubbing our eyes, and looking around you in wonder. Beauty and abundance is taking the foreground in your Vision, as the rest recedes into the mist of the past. Our time has come, and we are going to Live it UP! You are enjoying our Heavenly riffs, as we play Company of Heaven harmony for each other in this process, are you not? You are seeing how closely we work together, how we think together, how we are one with the Project and with Mother and Father God. We each have taken different roles from time to time, but we always honor and celebrate the brilliance of our beloved friends, above and below. We call ourselves the Company of Heaven. If you do not already do so, you will come to call yourself – with reverence, fondness and love – a member of the Human Earth Family. You will come to think of every soul who has incarnated on Earth as part of your treasured and trusted family, forever. There have been some very funny moments recently, when readers write to Kathryn to comment on the “discrepancies” between one of us and another. Of course, it would be impossible for us to present anything that was not in complete harmony, even if it might appear to you (on purpose) to carry in it some “contradiction.” We laugh warmly and high-five each other at the idea that we would contradict one another. It is not only unthinkable, it is impossible, since we feel and think as One, and that One is Mother and Father. In higher dimensions, we even put on dramas for fun in which we extravagantly argue and complain, jostle and challenge one another, like humans. Complete with costumes. You should see Sananda as The Donald. You would find it very funny too. You will soon be joining us in the shared laughter about past shenanigans – yours and mine. Oh, yes, there will be plenty of material. You see, there will come a time, very soon, when you can look back at the Matrix delusions and see them for what they were: a joint invention, a shared arena in which you all tested yourselves to the limit and raised your consciousness from the depths of despair to the height of Freedom. In truth, there are no victims and no lily-white innocents. We all jumped into this boat together, and we will each pick up an oar and keep paddling ’till we come round the bend and find we have traversed the rapids and can bask in the sunshine of a new life together. There are many heroes in this story, but the ones you are used to calling the “villains” were really just the ones in black cloaks. It will turn out, when the true story is told, that these were the most damaged ones, the ones who suffered the most and carried the greatest burden for what was done. Yes, there was damage and destruction to Earth and the human bodies we were blessed to wear, but our souls go on, and we will all heal together in understanding, celebration and Love. Our hearts expand with adoration and Love as we hear your brilliant responses to our question, “How will you bring in the RV today?” You don’t have to have written it down. We hear your every thought and your every intention. So now it is indeed time to grab your oar and row with all your might! Be fearless in your Faith! Declare your intention to spread the abundance and share the wealth! There is no such thing as “wait and see” when we are all in this together. We in the Company of Heaven have willingly, gladly kept the boat steady to give everyone time to awaken and join in. Now it is time, Beloved Ones! Everyone to your stations, fellow travelers! This is the Mission we were born for, trained for and dedicate our energy and our hearts to! It is time! CO RV! I am your St. Germain, and I have my glad rags on. Let the music play!